Refined jacquard weaving techniques, beautiful designs and colours for everyone - these qualities characterise the fine linen collections by Leitner Leinen, the linen manufacturer based in Austria’s Mühlviertel region. This variety of course extends into our premium linen accessories. As a token of appreciation for someone you love or a small gift to yourself: Leitner Leinen linen accessories are always a wonderful idea. 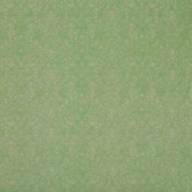 The name Leitner stands for the best yarns and sleek, stylish designs. We consciously buck the trends of our throwaway society and are proud to satisfy the longing for durability, long lastingness, quality and timeless beauty. 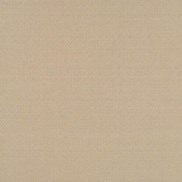 We use the finest natural materials. Cleverly woven and using extraordinarily beautiful processes, Leitner Leinen products meet the highest demands. This high level of quality extends into our selection of premium linen bags and accessories. 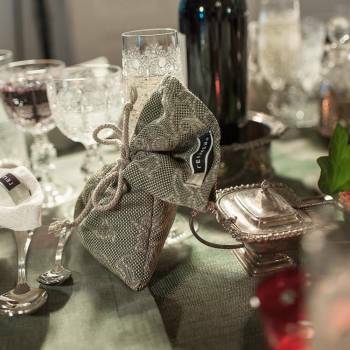 Shimmering linen damask with baroque embossed jacquard fabrics makes even an otherwise unremarkable lavender sachet an eye-catcher that sparks joy in your heart. Lavender sachets are a sophisticated case for fragrant dried lavender, and ever so popular for linen cabinets and wardrobes. Whether tucked between valuable table linens or cotton bedding, or hung carefully in your wardrobe: lavender sachets immediately diffuse their unique fresh scent into their surroundings. Not only pleasant to the nose, lavender sachets also help deter the dreaded clothes moth - an added benefit that even our great-grandmothers knew and appreciated. Leitner Leinen products are almost too beautiful to only use at home. 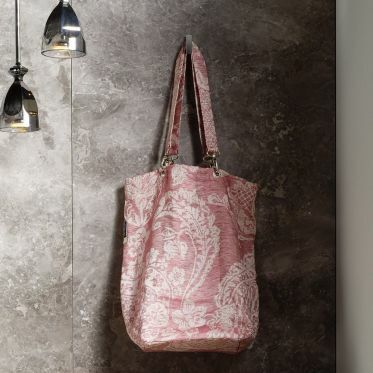 Thanks to our collection of bags, our jacquard prints can be taken out of the house for some fresh air! Our durable, easy-to-care-for shoppers are always ready for a shopping trip. These bags have plenty of room, even for bigger purchases. 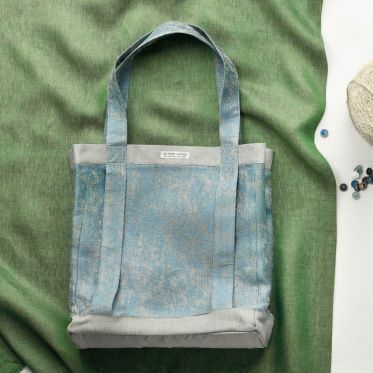 A loyal shopping companion, our linen shoppers not only fulfil practical tasks - their fine linen fabric makes them something special, and high-quality workmanship ensures a long life. Handy, practical and perfect for trips and for holding all the things you just can’t leave home without, Leitner Leinen bags are lifesavers. 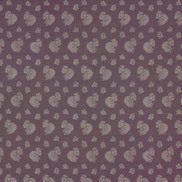 Their beautiful jacquard fabric and incredible variety of colours and prints leave little to wish for. The choice is yours - jacquard print accessories from Leitner Leinen are the cherry on top. We look forward to your order!